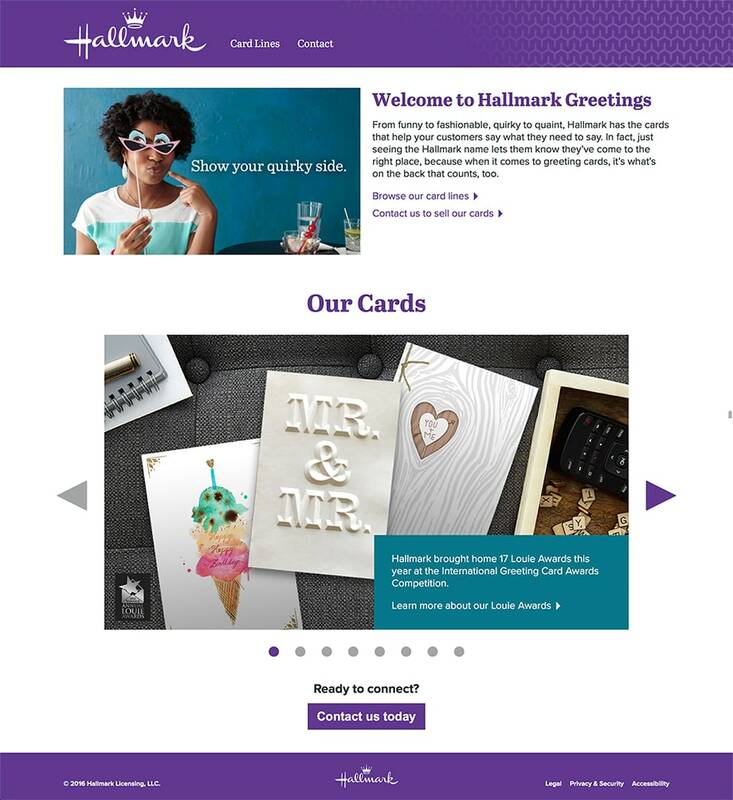 In 2016, a B2B division of Hallmark asked the team at DEG to quickly deliver a new website to help them generate new business leads. 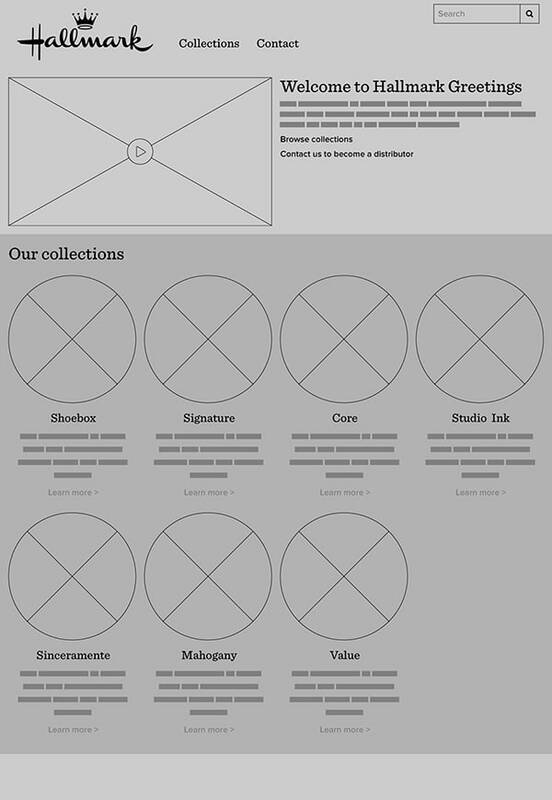 With a tight budget and even tighter timeline – we kicked off in mid-November and planned to launch the website in mid-January – I stepped in to work on the UX and visual design for this project, freeing my team to focus on other critical initiatives. 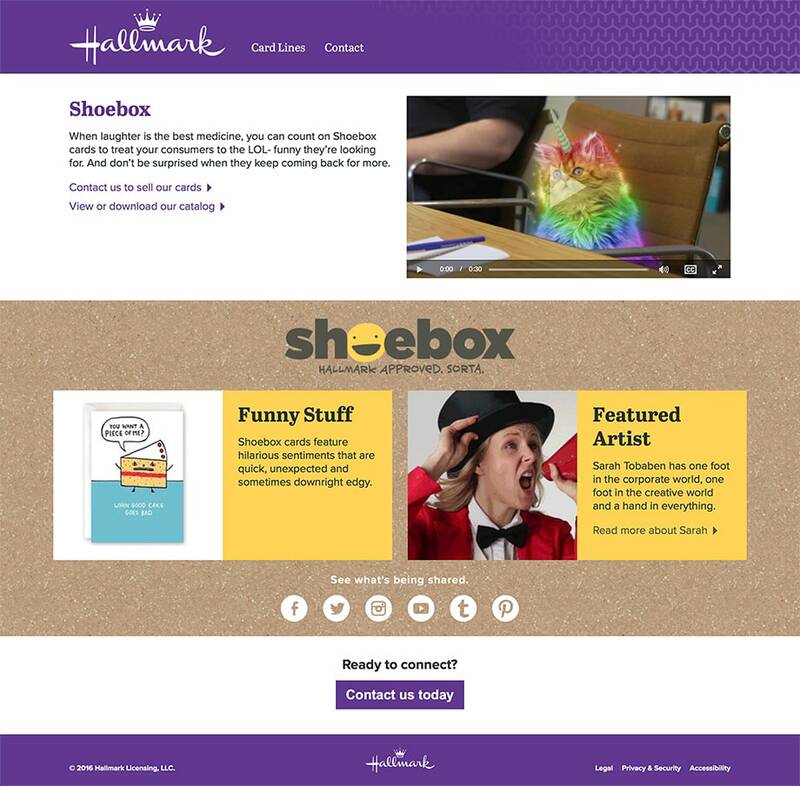 The team at Hallmark provided the visual assets – videos, photos, and graphics – and I worked with DEG’s UI Team Lead to deliver a clean, responsive website. 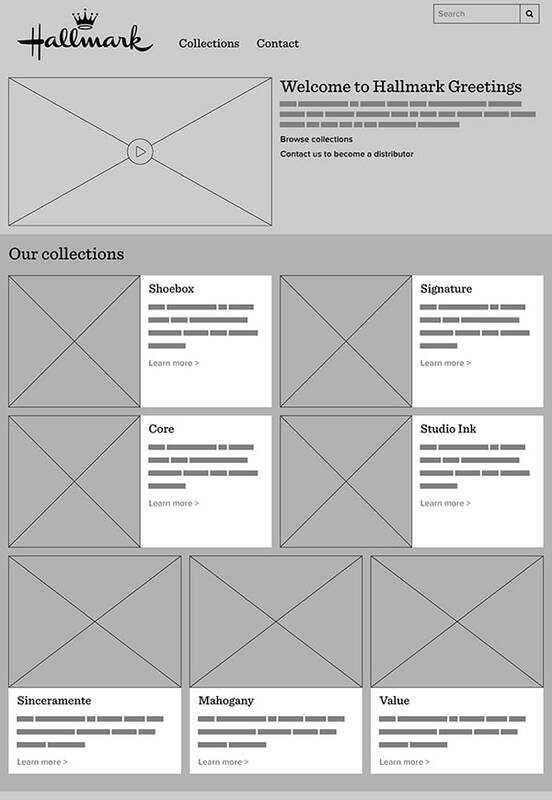 For each page of the website, I created wireframes at three breakpoints. 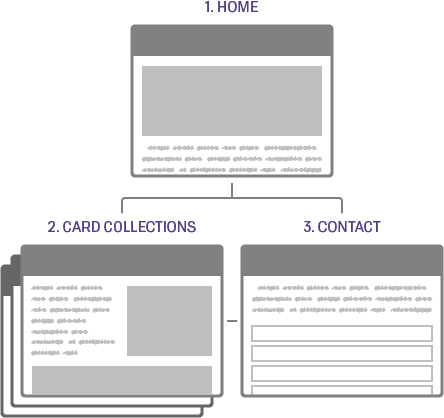 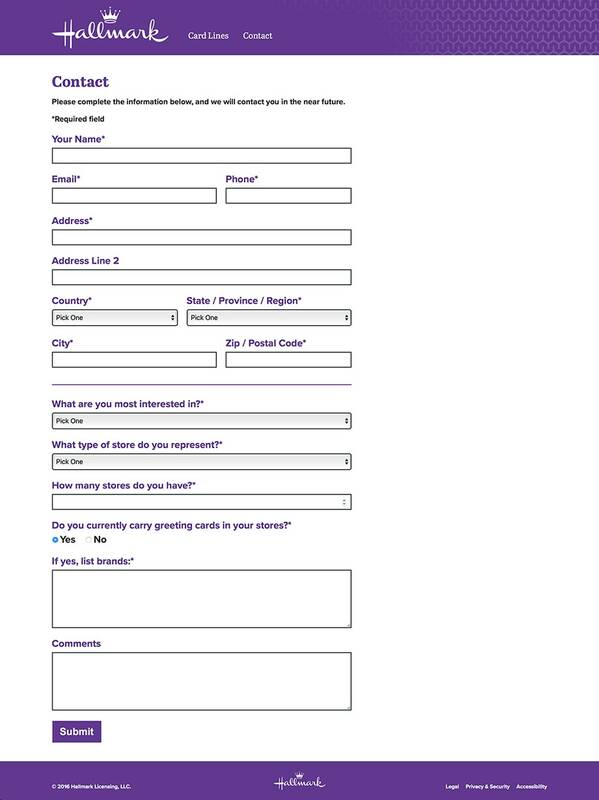 This helped our partners at Hallmark better understand responsive design and how the pages could adapt to different viewports. 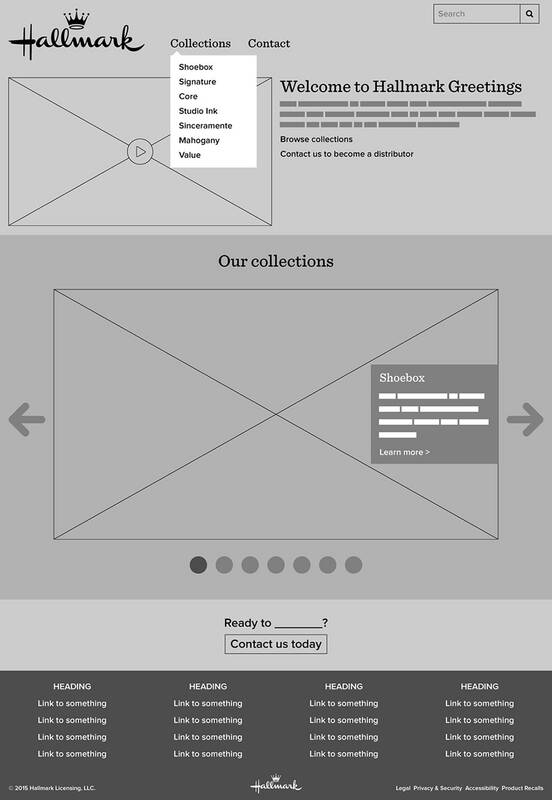 Rejected ideas for the homepage layout. 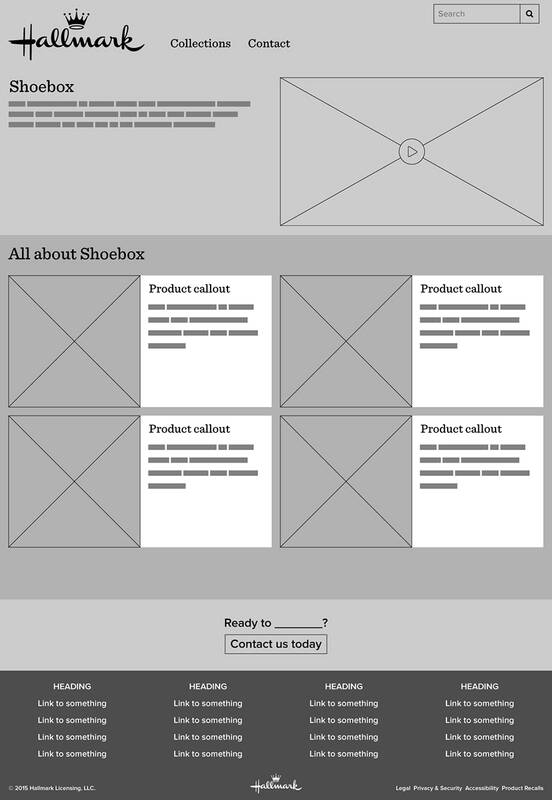 Once the wireframes were approved, the UI lead built the website using Pattern Lab. 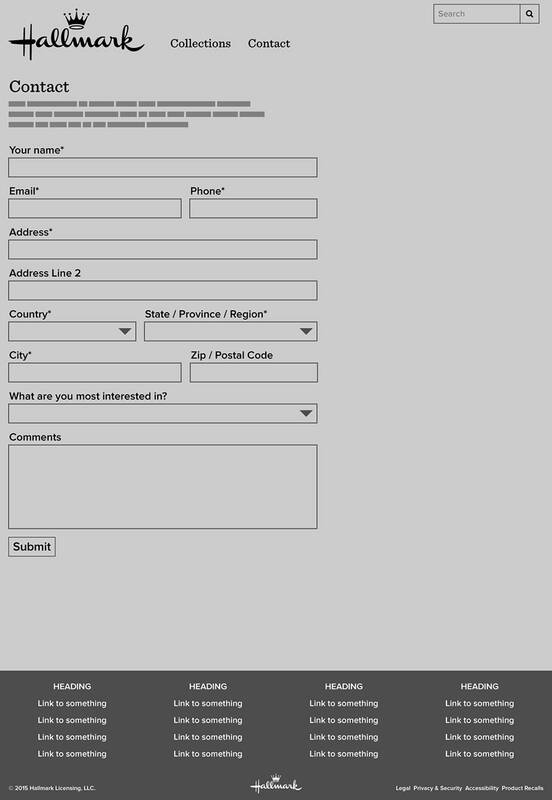 With my layouts and content from the Hallmark team, we were able to collaboratively develop a working website to get the signoffs we needed, then deliver frontend code to the Salesforce developers and launch the site right on schedule.